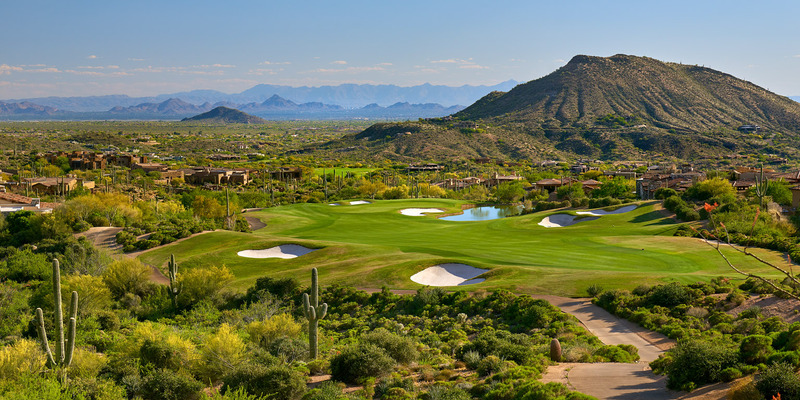 Is there a secret behind the steady stream of home buyers seeking to start anew at the Desert Mountain Golf Community in Scottsdale, Arizona? Maybe it’s the storybook elevated setting offering spectacular views of mountain ranges from very angle. Maybe it’s the introduction and welcome process that the Desert Mountain Member Services team has down to a friendly science. Or maybe it’s what Desert Mountain homeowners can look forward to each, and every, day. Imagine a lifestyle that includes pickleball, introductory yoga, a culinary clinic, watercolor art, or mountain hiking followed by meditation. That’s all at your fingertips and more when starting a new life chapter at Desert Mountain. If you tend to have even higher expectations, then you should know there’s the bonus of playing six Jack Nicklaus Signature designed golf courses. Since 1986 Desert Mountain has become a magnet for snowbirds looking to escape and live the life they’ve always dreamed. Desert Mountain’s epic views and higher elevations also make it a grand escape for southern and western transplants looking to flee the heat. A Desert Mountain lifestyle not only offers 5-Star, year-round sunshine, many new homes feature fire places, fire pits, and radiant floor heating for the nights when the temperature dips. Embracing the great outdoors is as central to this luxury golf community as a first cup of coffee. Mornings regularly start with members making the most of Desert Mountain’s 15 miles of hiking and biking trails. Taking this fresh air existence a step further, a Desert Mountain group called the Desperados has developed an interactive trail system in which participants can download the length, elevation, flora, views, and even sunsets they’ll experience. 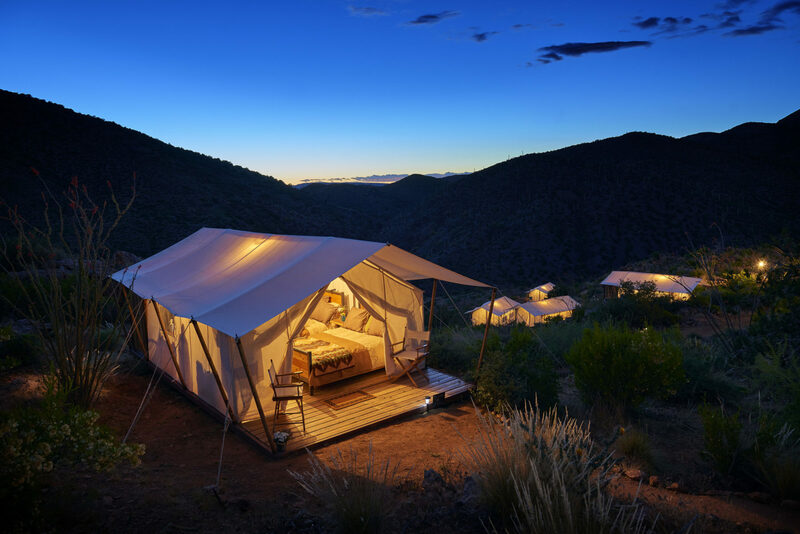 If that’s not enough, members can arrange for luxury camping right down to the queen beds, grocery delivery, and wood floors. You might be saying, “With the activities presented amidst Desert Mountain’s 8,000-acres, a person could work up a hearty appetite? You’ll be glad to know that great food borders on religion at Desert Mountain. This enclave features nine restaurants under the culinary guidance of Chef Bertrand Bouquin. 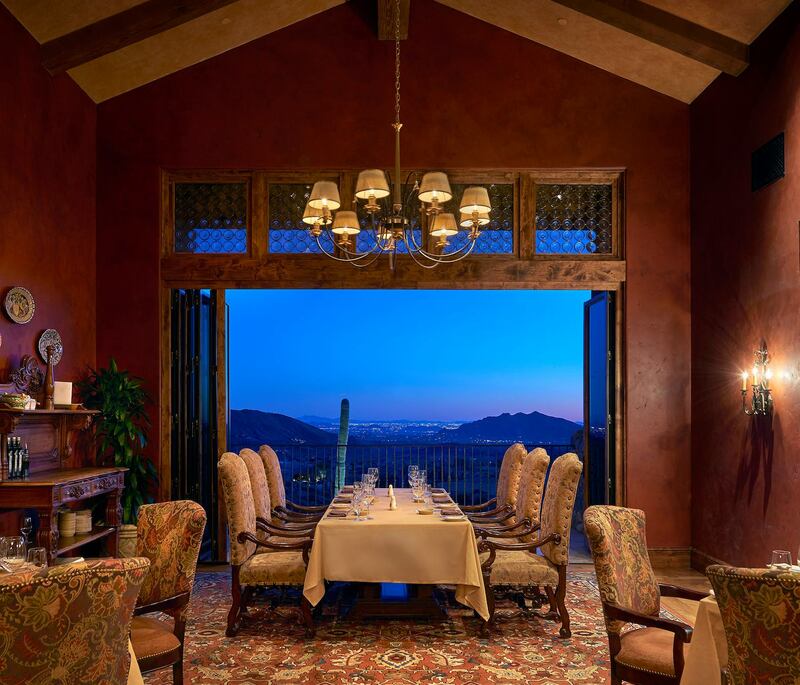 Residents and guests enjoy a dazzling array of dining venues that deliver amazing views of the golf courses, mountain ranges, and the city lights of the valley below. And that’s not all…. Foodies will thrill to Desert Mountain’s regular wine tastings, cooking classes, dinner series, and health conscious offerings at their newly renovated 42,000-square foot fitness center. Adding fitness to this new chapter of your Desert Mountain life is there for the taking. 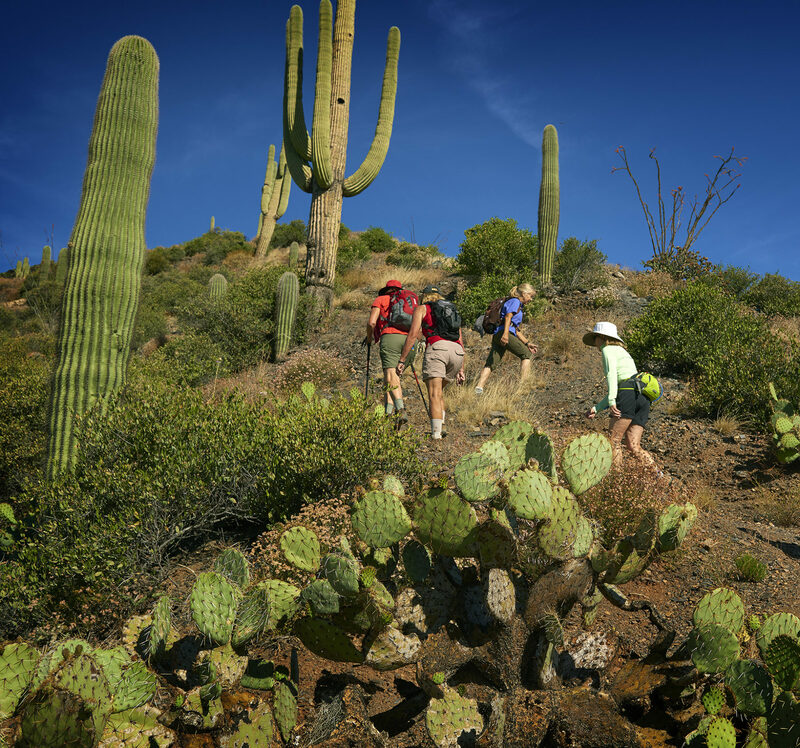 In-house personalized trainers will have you feeling like you’ve been to the Sonoran mountaintop and back. There’s something about the area’s exhilarating fresh air that brings out the best in residents. If you’re thinking this sounds good for me, but what about my family and friends? Convenient access is the name of the game with Phoenix’ Sky Harbor International Airport just a 45-minute drive, and the Scottsdale Airport located a stone’s throw away for those owning private aircraft and helicopters. When it comes to planting Desert Mountain roots, how does one choose the right fit? Within the community’s sprawling mountain acreage one can select from condominiums, cottages, haciendas, single-family homes, and estates ranging from one to 10 acres. 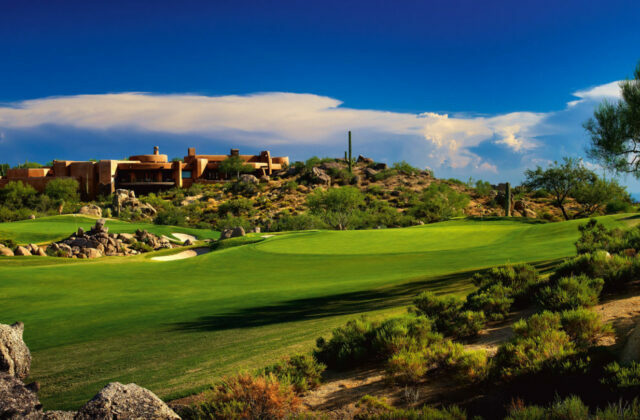 Once a newcomer realizes the thrill of Desert Mountain home ownership, the story behind this luxury golf community’s steady growth becomes no secret at all. 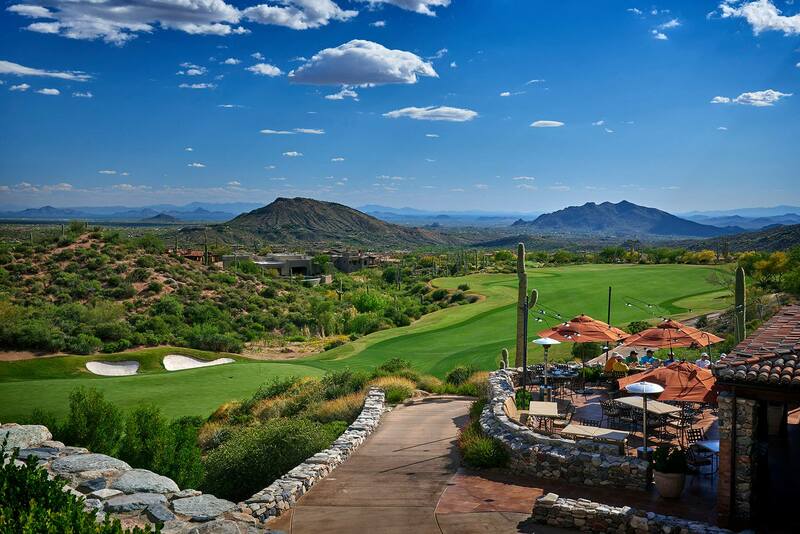 Look around at the amazing vistas, the lush rolling fairways, and the magnificent Sonoran mountain preserves. This first panoramic realization is when you can’t help but shout the Desert Mountain secret from your well-kept rooftop.